Learn about active shooter situations and what you can do to be more prepared at home, school and work. Since 1966, nearly a third of the world’s mass shootings took place in the U.S. 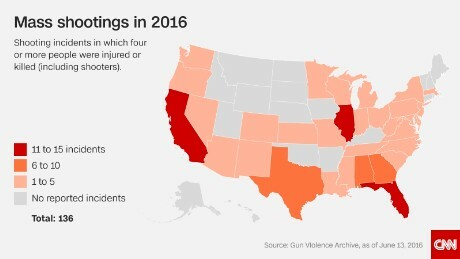 There were 136 mass shootings in the first 164 days of 2016 in the U.S. in which 4 or more people were killed. high-profile mass shootings have occurred there: Sandy Hook, Columbine, Virginia Tech and San Bernardino. Overseas, these incidents typically happen near military installations. This year, HSFA will continue conducting its public safety awareness campaign in multiple states and U.S. congressional districts. Host town hall meetings with members of the public, law enforcement agents, educators, religious and military leaders to discuss active shooter awareness and preparedness and provide maximum exposure for our sponsors. Conduct grassroots outreach campaigns to survey households across multiple U.S. congressional districts and solicit input/concerns on the threat of active shooters. Provide additional information from our sponsors. Take the survey. We’re conducting active shooter awareness town hall meetings across America. During these town halls, we discuss active shooter awareness and preparedness. Our platform is simple; we offer a keynote address from an experienced, executive level homeland security professional, and then we open the floor up so members of the community can engage the speaker and a panel of experts. We work with the Department of Homeland Security (DHS) to ensure our message is synchronized with DHS’s, and we will continue to invite DHS representatives to each of our upcoming town halls so participants can hear our voice and the government’s at the same time, further bridging the gap between the government and the public. We’ve found by relying heavily on the town hall platform, our collective voice (HSFA’s and the government’s) leaves with our participants. They leave more informed and more prepared to act when active shooters attack. They carry our voice back home with them, and then they carry our life-saving public safety message out with them to their jobs, to school and church or wherever they go. Using their voice, they become our agent of change in their community and, with the information we provide, are empowered to have a more direct impact on their hometown security. 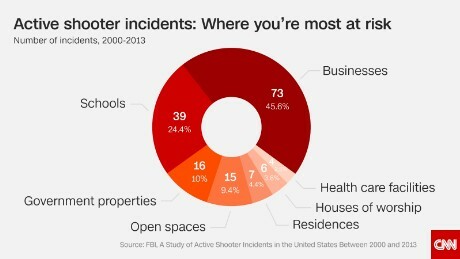 Active Shooter incidents are increasing, the majority of the shootings take place in a business, and time is a huge factor in response tactics. 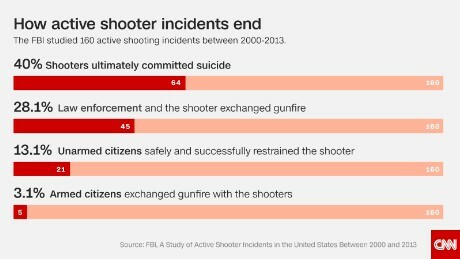 Unlike a homicide or mass killing, the “active” aspect implies that both law enforcement and citizens have the potential to affect the outcome of the event. HSFA conducts active shooter training and outreach in all U.S. congressional districts to educate the public, law enforcement and security professionals. An active shooter is an individual who is actively engaged in killing or attempting to kill people. In most cases active shooters use a firearm(s) and display no pattern or method for selection of their victims. Receiving awareness training empowers citizens to help save lives and property during active shooter attacks. In addition to town hall meetings, our volunteers go out into the community to disseminate public safety materials with the primary message; run, hide, fight, along with important details behind that strategy, so people understand based on a particular situation, run, hide and fight should not always occur in that order. Provide maximum exposure for our principal sponsors through nationwide recognition and local product exhibit. Recognizing our Public-Private Partnerships. We leverage media and broadcasting opportunities in radio, television, cable, online and in print to promote its active shooter training and town hall meetings. This gives us the opportunity to provide maximum recognition for our sponsors and public-private partners in media, print, television, radio and on the web. We also distribute materials and resources to targeted audiences and share our contacts with our partners.